What happens when a client can’t properly articulate his or her company’s needs? That’s easy. We do what most salespeople love to do…we TALK. Oh, how we love the sounds of our own voices. We interrupt our clients so that we can finish making our point. We keep talking after they have told us they want to buy from us, because we’re not done with our sales pitch. What answer did I get? “You know, those have dual-core processors.” Now this might seem like a minor sales transgression, but if I had more time on my hands, I would have said, “Oh, in that case, I don’t want them” and walked out of the store and into another. But I stayed, and endured hearing about all the technical features that this tablet PC had, the cool apps you could get for it, and so on. He committed one of the most terrible sins of all sales sins: he kept pitching after he had the sale, potentially talking me out of the sale. 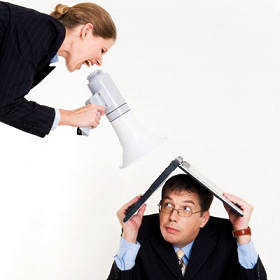 In your sales world, what else is wrong with going through your rehearsed presentation? Instead of working to understand your prospect, are you just telling them what to do? Without a back and forth discussion, you risk a one-sided solution, potentially resulting in a lack of buy-in from your prospect. If the project fails, guess who will get the blame? Besides appearing arrogant, your force-fed presentation may keep you from learning about other problems that your company could solve. When is not okay to take the money and run? What if the client knows exactly what they want (like me when I bought the tablet PCs)? If you are going to have a long term relationship with this client, then you risk that they are wrong when they tell you what they want to buy. Again, guess who gets the blame? There are other problems, however. If we haven’t added any value to the transaction, then we have just entered the dreaded world of commodity sales. And if we haven’t established a base dialog on the prospect’s issues, we will never understand the root causes of the problems they face, and once again we won’t be able to solve any additional problems they may have. The only thing worse than these two sales transgressions is what I see over and over again – guessing. Of course, we don’t call it guessing at all. We have a short meeting, form opinions, declare that the problem can be solved with the product or service that we just happen to sell, and then formalize this mass of guessing into a glorious, search-and-replace, cut-and-paste rehashed document called a proposal. The thicker the better. I’m betting that the majority of the client interactions done in the world of large, technical, or complex sales fall into one of the above three categories. Is there a better way? Perhaps a way that keeps us from wasting our time and increases the odds that the prospect will become a long-term, profitable client who values our wisdom and expertise so much that they become the gatekeeper who excludes our competitors from knocking on their door? There is a way that has served me and others well over the years. In Chapter 6, “Partnering With Your Prospect,” I will give you an overview of this alternate way of doing business with your clients.